Claire is Enterprise Manager at the LINC (Learning & Innovation Centre) at the Institute of Technology in Blanchardstown. As well as managing the New Frontiers programme at ITB, she takes care of the marketing, communications, events and incubation services for the LINC. Claire has worked with over 300 startup companies since joining the LINC in 2008. 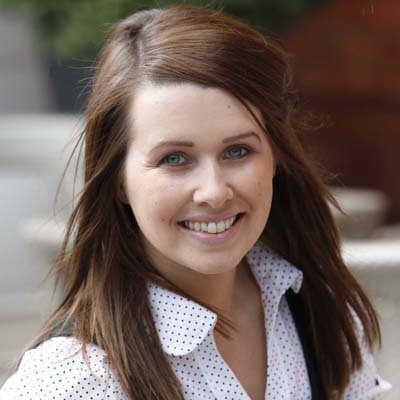 Claire graduated with a degree in Media Communications, and went on to obtain a Masters in Management and a Post Graduate Diploma in Entrepreneurship from Michael Smurfit Graduate School of Business at UCD. She is also a qualified Speech & Drama teacher, and ran her own theatre school business for 10 years – employing six people, with a weekly roll call of over 150 young students. The business also operated a casting agency, representing its students for roles in TV and film. The business was sold in 2013, and is still thriving today. Claire believes that her background in drama and communications continues to inform her approach to her current role; she particularly enjoys helping startups to communicate their concepts, craft succinct marketing messages, and deliver compelling pitches with confidence. Having worked with a huge number of businesses from very diverse backgrounds, Claire’s experience of startups is an invaluable resource for the entrepreneurs accessing services at the LINC. Having run a successful startup herself, Claire can easily relate to the issues and challenges faced by the companies she works with. After graduating from her post grad in Entreprenuership at UCD, Claire worked in a Marketing and Sales role at Griffith College Dublin, where she grew one of their new business ventures from concept through to operation – a really exciting opportunity and project to work on. Once the business was operational, Claire realised how much she missed the buzz of the startup phase. She was thrilled to then be offered her role at the LINC, where grassroots startup is part of the every day modus operandi which really excites her. Working with startup companies every day really is our privilege as managers of the New Frontiers Programme. The energy that comes from working with people who are so passionate about their ideas inspires me to deliver the best support service that I can to them. Watching people learn and grow; and seeing what was once an idea shared over a coffee emerge as a fledgling business that is really to take flight really is the best job in the world. I wouldn’t want to be anywhere else!